I never thought I’d be the sort to have an active interest in “laying a table”. I was the sort of girl that was interested in smoking cigars, riding on foreign trains, difficult books, and strangers. 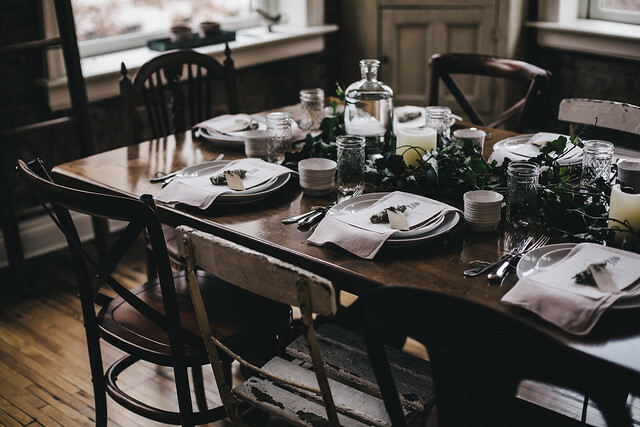 The only hint of my love of home making was a penchant for cooking those aforementioned strangers involved, complex dinners between great glugs of wine, both in the dish and down my throat. If that can be called home making. Which it cannot. I lived an inverted life in the Aries moonlight, the domesticity innate to a girl with a Cancer sun long dormant. Southern born, I’d, without thinking about it, decided things like setting the table were for sweet little fools. Something for girls doomed to their mother’s pearls, destined to become something they, for a forgotten flash, maybe didn’t want to become. I was, as is so gloriously often the case, wrong. The fine art of being a Southern hostess is something worth fighting for, worth preserving like a snow leopard. Preserving the open door narrative that is my heritage is an honor. 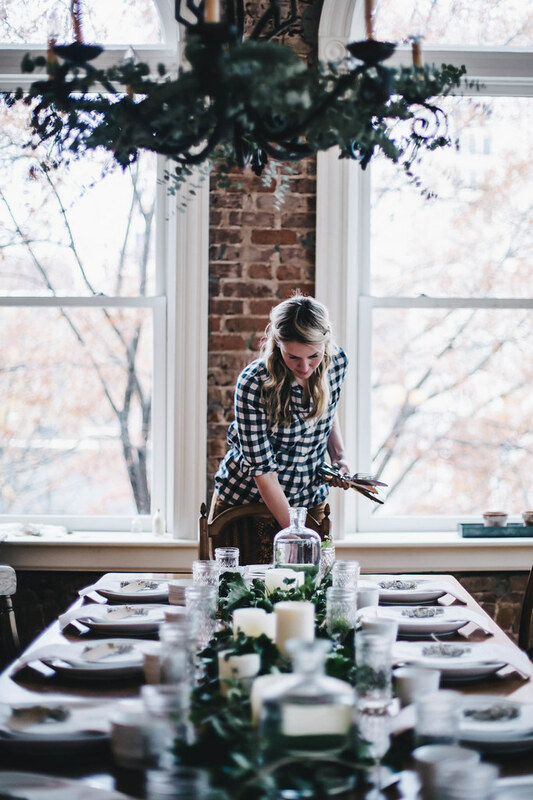 Hosting gatherings around the dinner table & cooking supper are two of my primary passions (which I presume is kind of self evident), and the November Kinfolk Herbal Infusions Workshop Hannah & I hosted with the help of Sophie’s Shoppe, Niedlov’s, Camellia Fiber Co., and West Elm was an absolute joy to put together. 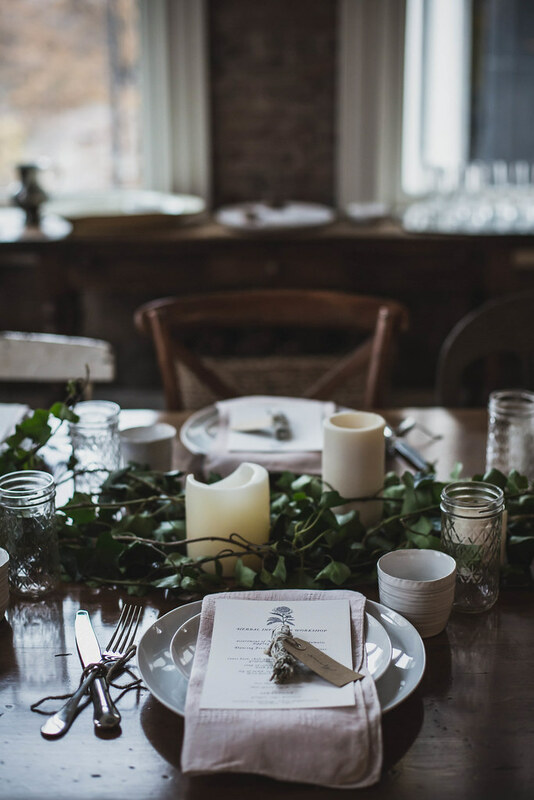 I enjoy the laying of a simple, inviting table as much as I enjoy planning the menu. 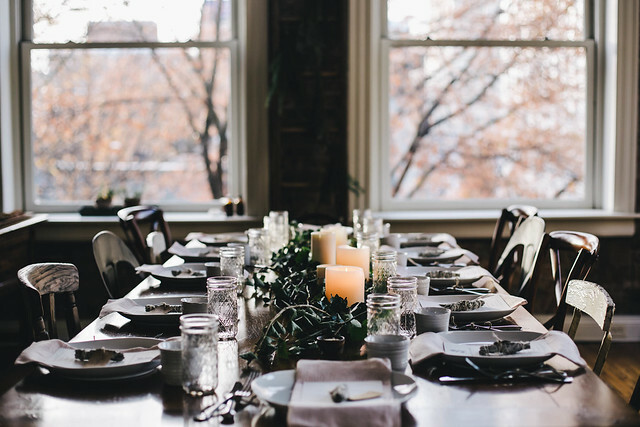 I love it because I love planning a menu; if we eat first with our eyes, it’s easy to be mindful of how the food plays out on the plate, but that mindfulness begins the moment someone walks in the door. 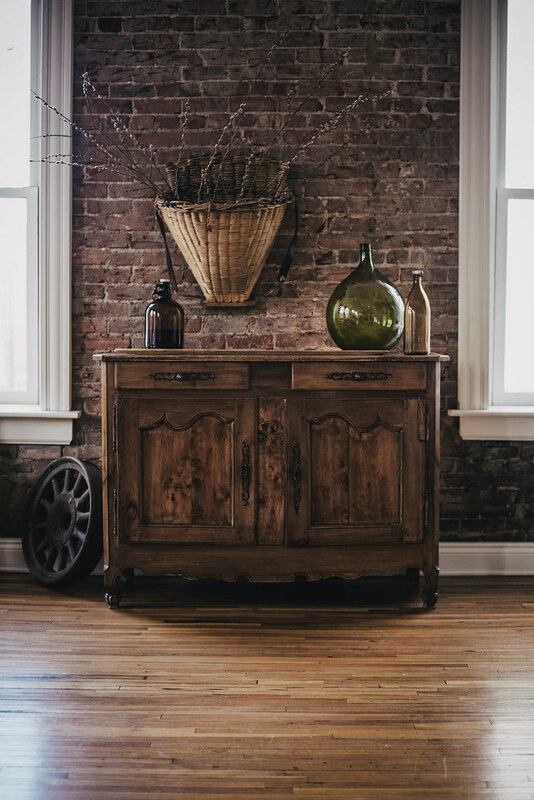 While I think my dismissiveness of the domestic arts was misguided, I do think the art of hosting as I knew it growing up was in dire need of renovation. I have no interest in over-wrought polish & the veneer of kindness that is the other side of the old ways coin, no interest in that bless your heart saccharine condescension. No interest in keeping up appearances. Ours is a down to earth sort of southern hospitality, one that doesn’t involve gossip or stiff gales of polite laughter. 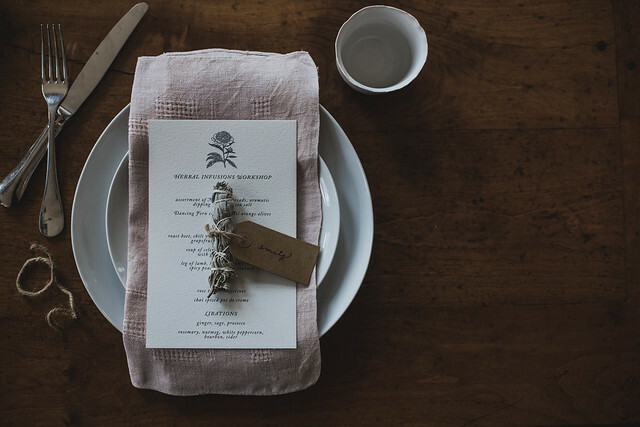 You won’t find crisp whites at this supper; rather, you’ll find vintage linen napkins from the flea market given a new lease on life, dyed the palest of flesh rose with red cabbage by my friend & fiber artist Rebekka. 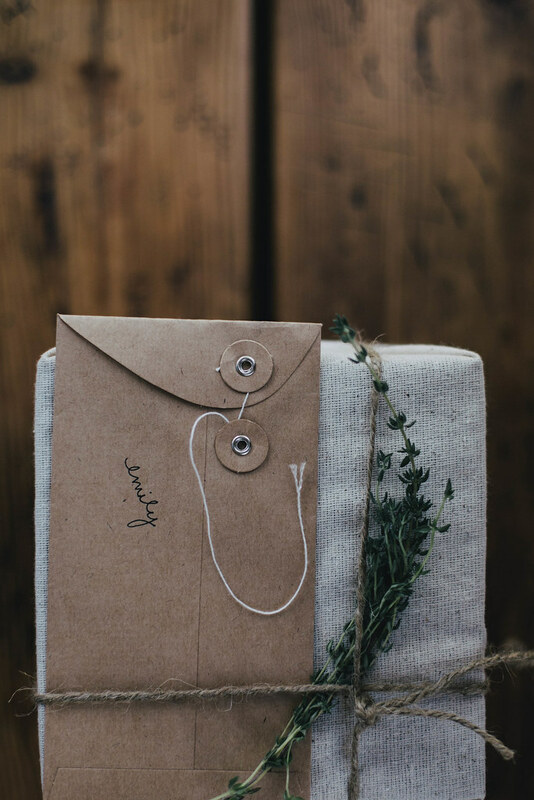 You’ll find gifts wrapped simply in muslin & twine and place cards with purpose; white sage smudge sticks that guests can take home with them for burning to purify their space. You’ll find one of a kind handmade ceramics, bread boards spilling with freshly baked loaves from Niedlov’s Bakery, simple glass water carafes, an old ladder, and a ramshackle collection of vintage chairs that tell a story—all lent to me by a favorite local shop of mine, Sophie’s on North Market. We hung eucalyptus from the wrought iron chandelier and used the ladder as a drying rack for herbs and gangly purple flowers (note: those flowers are called Limonium, a.k.a. Sea Lavender or Marsh Rosemary—and don’t let the name fool you, I discovered they smell like cabbage! 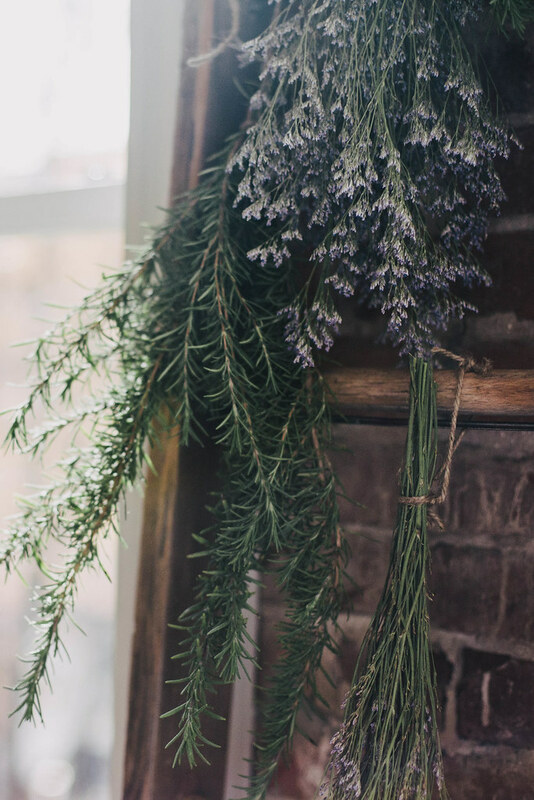 Thank goodness for the bundles of rosemary.) The trimmings were a visual nod to the herbaceous meal Hannah & I cooked. 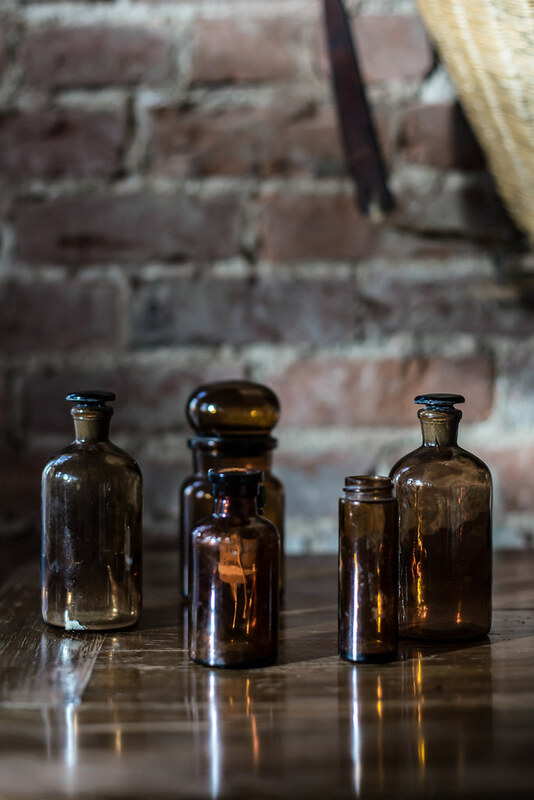 A scattering of old apothecary bottles I’ve collected set an alchemical mood, and in lieu of gold rimmed china, I went with the simple white of gently undulating, organic plates from West Elm that act as a backdrop to whatever direction I want to take my table in. I use them for everything, the perfect canvas. 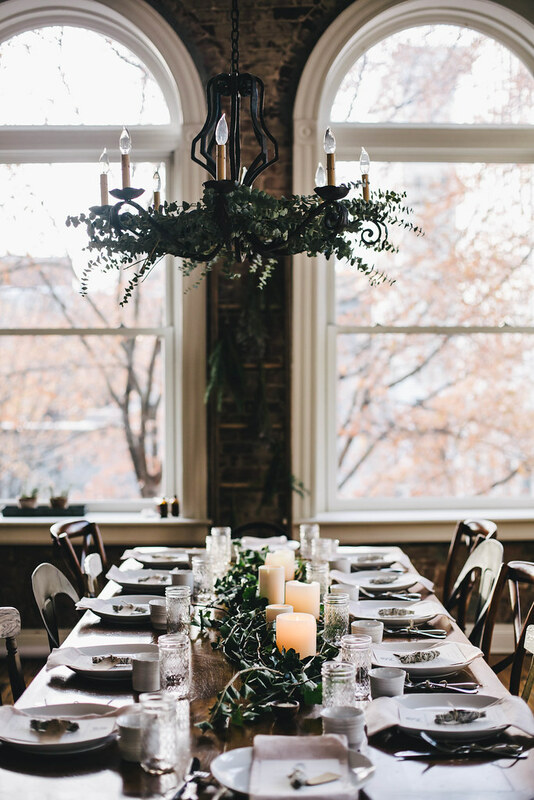 Rather than a carefully wrought centerpiece, I ended up using English ivy I’d found an old man pulling off the stone wall in front of his house in my neighborhood. I was driving down the street, and when I saw this man dutifully stuffing fistfuls of ivy into an industrial sized, black garbage bag, I whipped my car over to the side of the road, leapt out, and proceeded to walk across the street towards him wearing my best, though perhaps unconvincing, I’m harmless & reasonable smile. Unfortunately, I was dressed in billowing black wool coat, wide brim black hat, wire-rimmed round sunglasses—in short I looked like some sort of steam punk witch leaping out of her car inquiring about his trash in an harried, gesticulation fraught way. Because my “way” is always harried & gesticulation fraught. Hesitant and confused, he acquiesced and gave me his trash bag of ivy. And that is the story of the centerpiece. One old man’s trash is another kitchen witch’s treasure. Does that count as “foraging”? The same mind set informs my approach to gift giving this season. 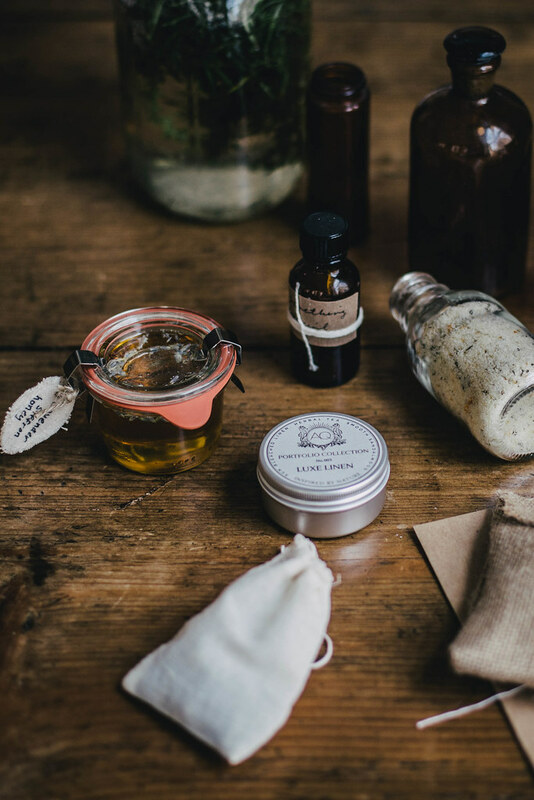 Rather than giving more stuff, I’m opting for things like homemade infused salts & honey. Besides being a frugal choice, more importantly it’s an item of real use and one that will last beyond the cookies and chocolate of the holidays (don’t get me wrong, I give those too!). 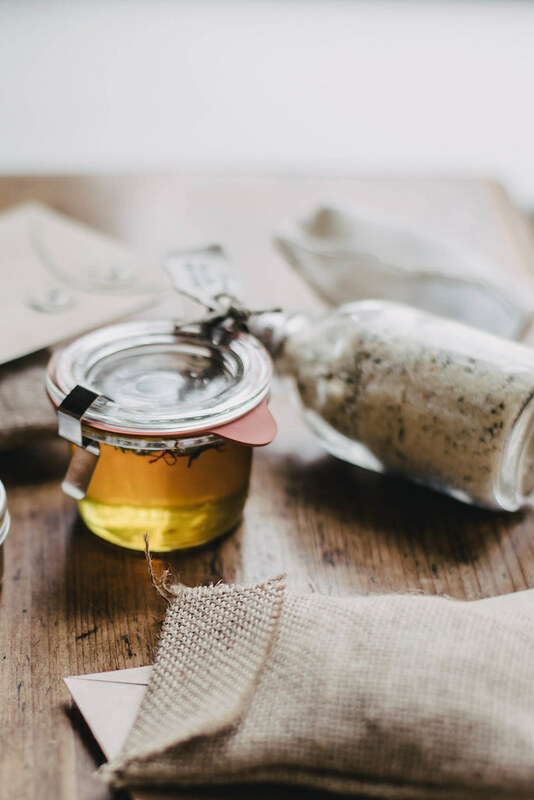 So here’s my recipe for the Satsuma & Herbs de Provence Salt & Saffron Lavender Honey we sent our guests home with—perfect for those of you who, like me, are working away on whipping up your last minute gifts. 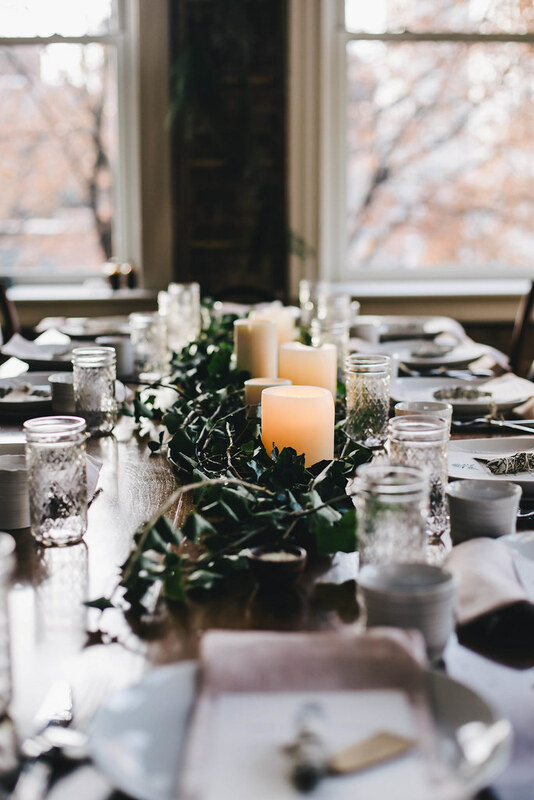 I hope this provides you all with inspiration for your holiday table & gifts! 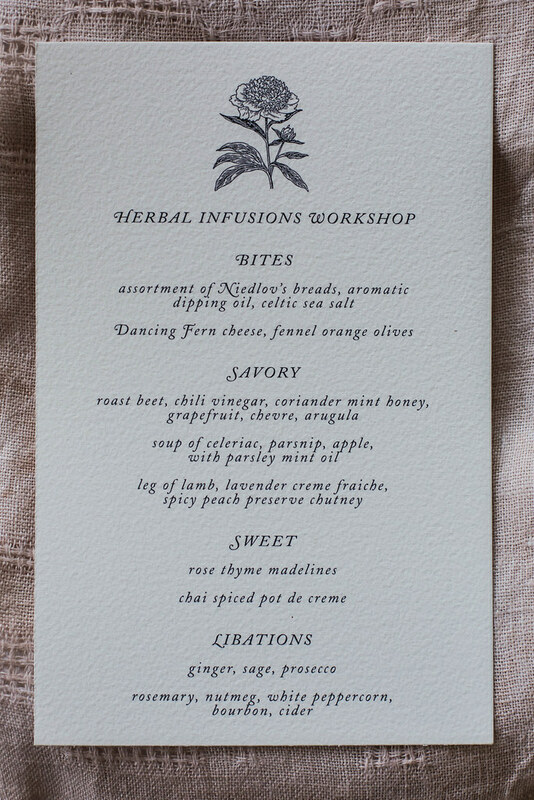 And stay tuned for part two after the new year—the infusions portion of the workshop & a recipe for infused bourbon cider cocktails! Bright, earthy, and complex, this salt is great for everything from that pinch of salt in baking to fish, chicken, pork, and even beef. I pretty much use it for everything when I have it on hand. And aside from it's wonderful culinary properties, it's also a highly protective salt imbued with both energy & peace, making it a perfect gift for those dear to you. Heat oven to lowest temperature possible. In a large bowl mix all ingredients except juice to thoroughly and evenly combine, making sure to break up any clumps of zest that might form. Stir in juice thoroughly. Spread salt on a sheet pan lined with parchment or a silpat (I use a silpat). Dry salt in oven stirring occasionally until bone dry to the touch, about 1-2 hours. Store in an air tight container once cool. Drying time will vary depending on how much juice you added, just stir and bake until dry. Recipe can be doubled, tripled, etc as desired but you might need to dry in batches. Too much of it on the sheet tray will make drying difficult. 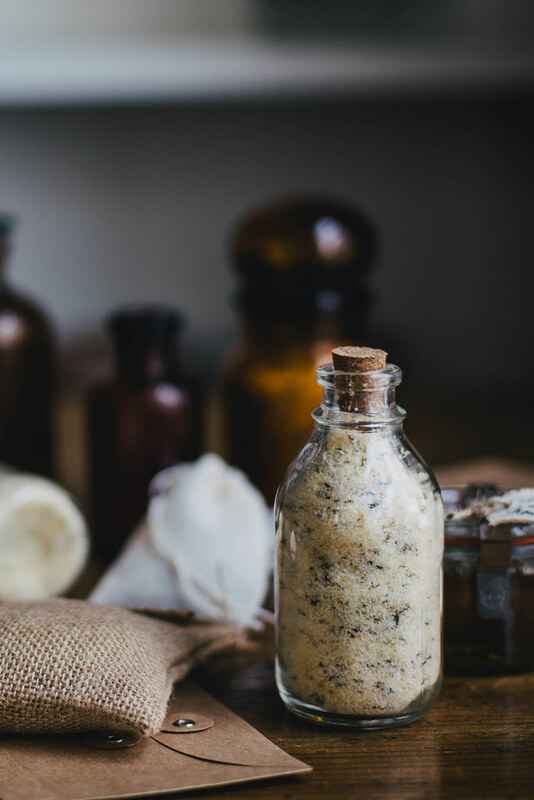 If you're interested in the imbuing of herbal salts with the traditional metaphysical properties of the herbs, feel free to contact me! In a medium sized pot heat the honey over medium-high, stirring occasionally, until very hot but no boiling. Do not boil. As soon as the honey begins to simmer remove from heat, stir in the saffron, lavender, and pinch of salt. Cover and let steep until completely cool, 3-4 hours. Stir occasionally. I like to let it sit at least over night, but you can store it with the saffron and lavender in it even longer to make it stronger. So I'd say steep according to taste. Once cool, if you taste it and it's to your liking you can then strain it through a fine mesh sieve and store it in an airtight container. how stunning is all of this? oh i wish i could have been there. You’re gonna have to come kick it in TN! I agree, I would have loved to see this in person. Every detail is so stunning! 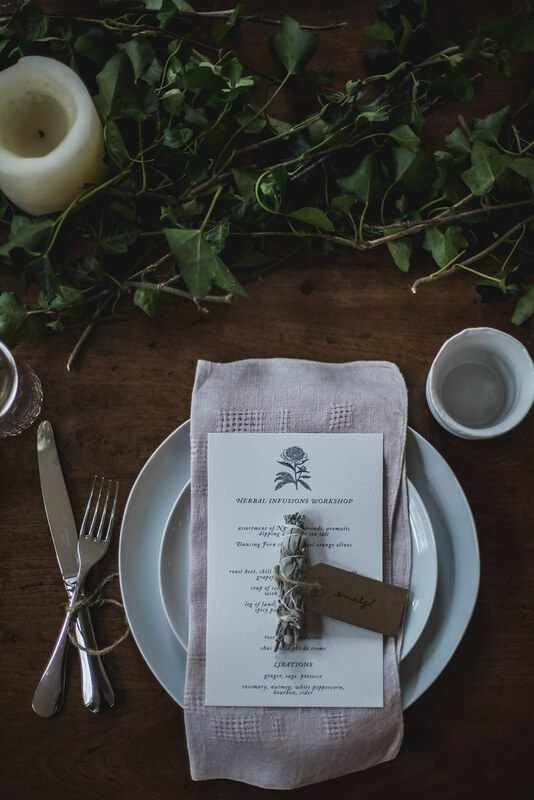 And how you manage to create such incredible menus, food, settings, and photos is inspiring. What a stunning dinner table! And I’m absolutely in love with that honey! I’m probably going to make a batch of it as a Christmas present. Girl, you’re amazing. Simply amazing. This is just so beautiful, the lighting and the menu sounds out of this world! The table that you describe is my dream table. 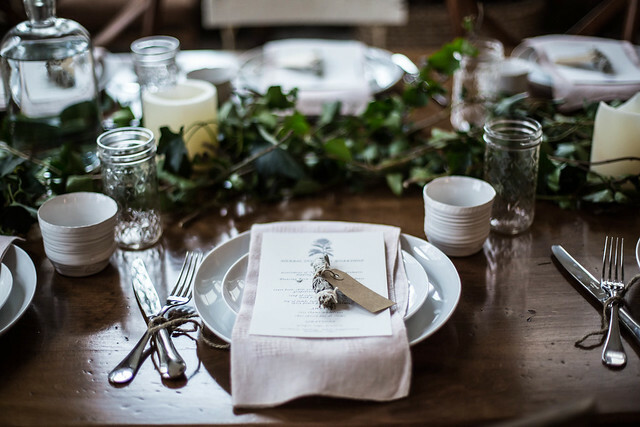 To my eyes there are few things as beautiful as a table overflowing with delicious food and rustic flowers. 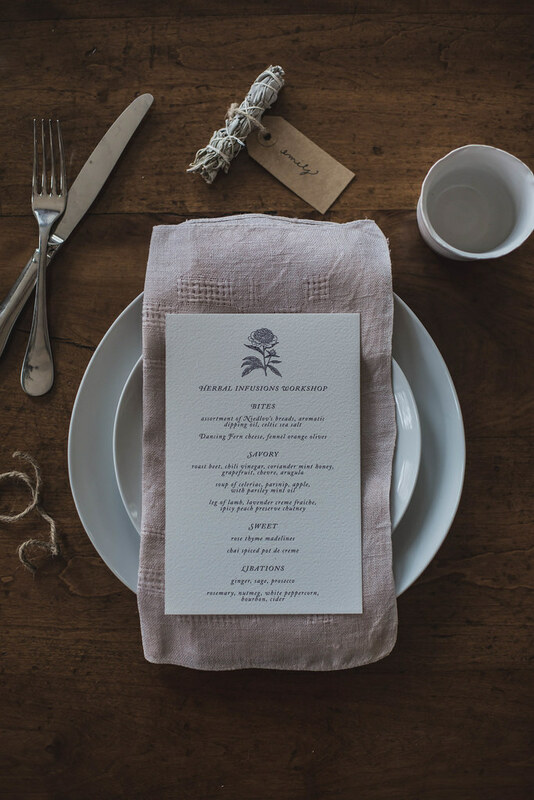 I adore linen napkins – especially if they tell a story. 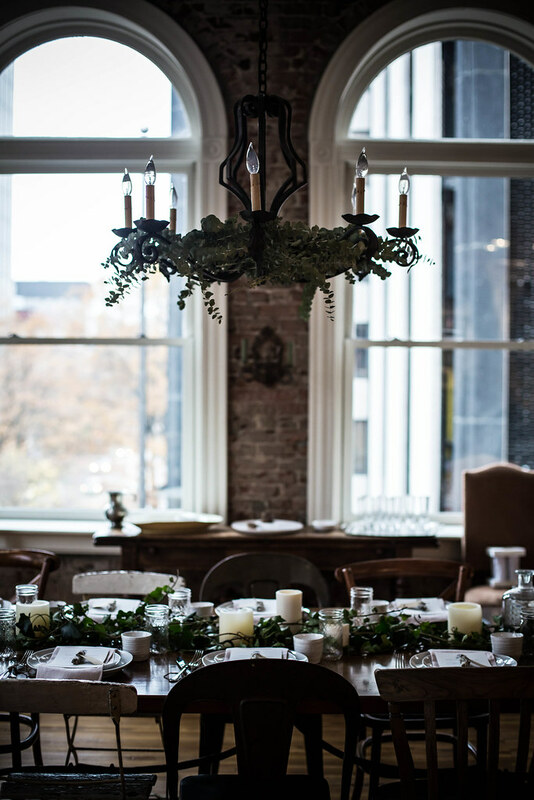 And I love nothing more than the idea of eucalyptus hanging from a chandelier – just wish that I had a chandelier… Stunning. I love how you tell a story. Not going from one point to the other, but choosing a more winding road, where you sometime stop, sit down and dissect a very tiny aspect of the story, piece by piece. Kind of an old and traditional way to do it, that kind of reminds me of my grand-mother. I want to go to one of these workshops so much! I am from Oregon, but unfortunately I only found out about them after I moved to Arizona, so I can’t go to the Portland one anymore! 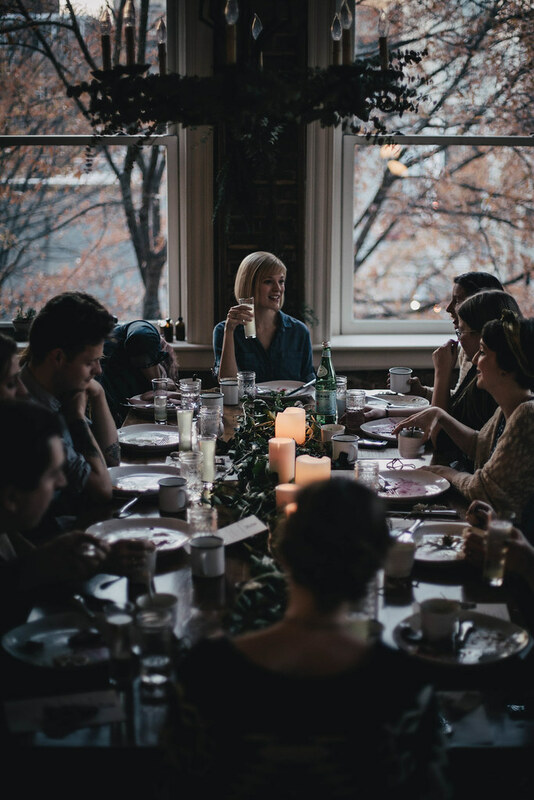 Oh, this all looks so beautiful, and so full of warmth – the best kind of supper gathering. I’ve been thinking of you lately, for a number of reasons; one of those reasons being that I’m heading to New Orleans in a few days for the holidays. I will think of you as I traipse the streets, drinking in the South (um, not DRINKING drinking – no more alcohol for me right now) and eating my little heart out. Chris and I also used the skillet from Sweet Gum Co not long ago. I’m not sure if you received the photographs that I sent you, but I hope that you liked them, if you did. We have certainly been enjoying our purchase, and will be using it as part of the tradition of our little home for years to come. I don’t remember if I told you that weekend breakfasts are some of the most joyous and intimate times that we spend together, and I love that there’s now a nifty little skillet to go along with it. And this post has inspired me further toward my goal of having at least one small gathering a month in 2014. The warmth, the food, the good company! All of those are things that I want to bring into my life. Thank you for writing; thank you for showing us what you do. You beautifully captured the evening in both pictures and words. It was a lovely, sweet moment that I will cherish. Somehow, I seem to have champagne in my hand every photo I have seen of myself at this event… hmm! Y’all did such a great job making us feel warm and welcome! It was the perfect way to kick off the holiday season. Oh my! The beauty of your words and stunning photography are a delight to the senses! Thank you. Merry Christmas! Your photos bring life, to life. I don’t know how else to describe it, 🙂 , or if it even makes sense, but to me it does. It is a joy coming here. well THANK YOU Miss Beth — it just so happens that I have dried lavender, saffron and canning jars. I am totally making this as presents for my brother in law and mother in law! This is truly fantastic. 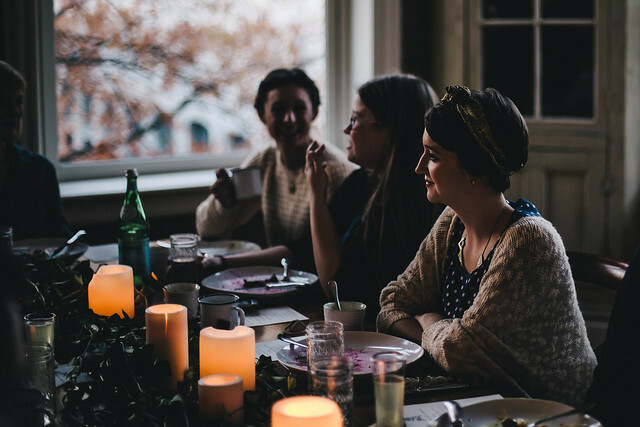 I completely relate to the misguided thought that homemaking can’t be a fulfilling art form. Love the story of “foraging” ivy. Swoon worthy images. I always love your thoughtful commentary on the South — I grew up in the South, and we have a complicated relationship (though I have a very uncomplicated relationship with its food). It’s a valuable reminder to me that not all of the South is “bless your heart saccharine condescension.” Instead, we have folks like you who make it a place worth revisiting. Especially if I could partake in a dinner like this one! such a lovely, evocative setting! i am a generation or two older than you, but, this is how we have always entertained in the south. 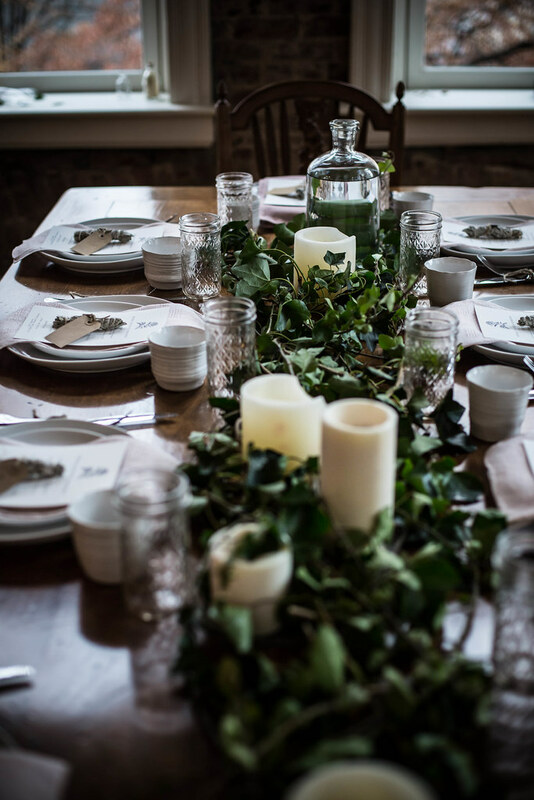 table decorations were monkey pine, camelias, [pine cones, magnolia leaves-whatever you could cut from your yard or from friends/neighbors’ yards. holiday menus a mix of old, family recipes with new, “fancy” recipes served on a mix of your’s, your mom’s, your grandmother’s good and/or everyday china (that were probably wedding presents, passed down or just found pieces). but, no matter how effortless everything might have looked, a lot of thought and work went into these get-togethers. a true gift– of love and time. i love that your blog is such a very lovely & modern take on the old, southern traditon of “pass-along” recipes, traditions and just basic hospitality. I love this. It’s exactly the tradition I try to carry on. 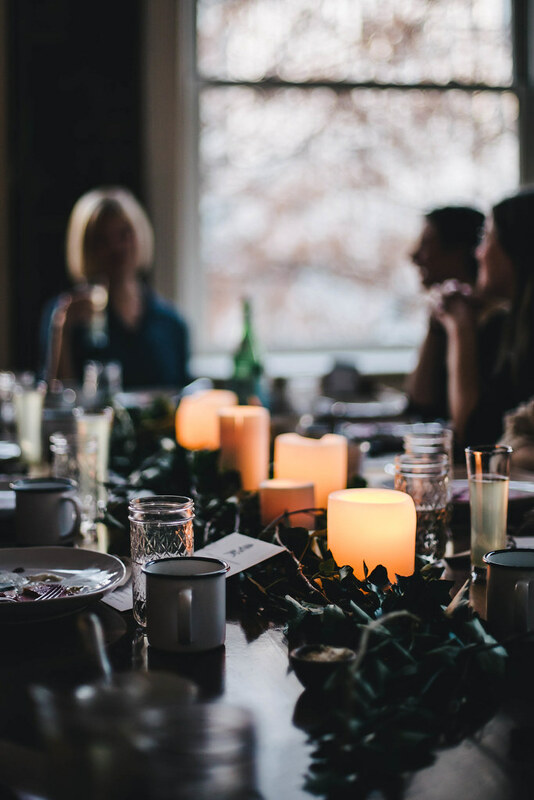 And what you said about no matter how effortless it looks so much being poured into it is very true… I was talking with family about that last night…about while I don’t think things should be fussy, I certainly pour my heart into making a get together beautiful/delicious/inviting. I never want to give the impression that these things are “quick & easy”. Rather, they’re simple, humble labors of love that aim to seamlessly mix the fine with the mundane. I’m so happy to have the approval of a woman from a generation or two before me! I love homemade gifts. I always opt for the sweet kind, but salty, literally in this case, seems like a good alternative! For more than 5 minutes I’ve tried to think something to say, something that could be rapresent my feelings when I look at your post and photos… Nothing! just BEAUTIFUL. What a beautiful table setting. I can’t wait to try the salt recipe. THANK YOU FOR THE RAW BEAUTY. God bless. 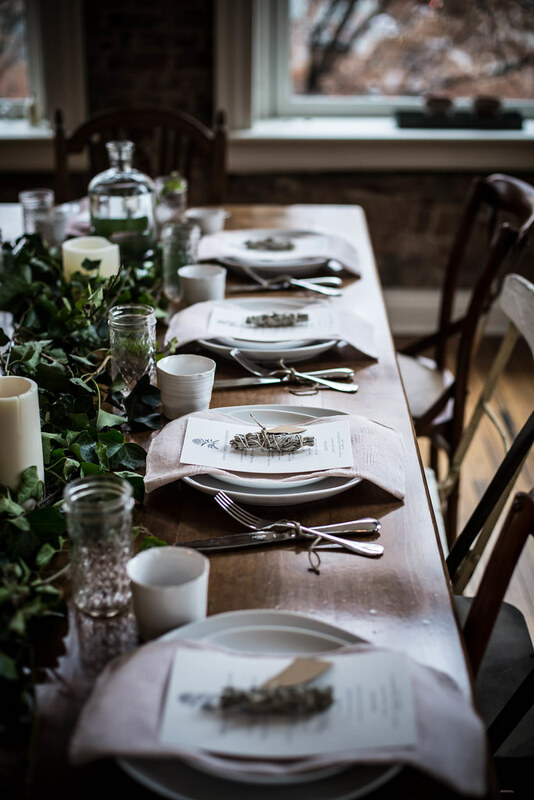 Pingback: Rustic-style Christmas Tablescapes: Inspiration for Holiday Entertaining! Bueno. Estoy alucinando, de verdad!! Enhorabuena. que belleza de blog, de post y de todo!!!!! Un auténtica locura!! !Haberte conocido gracias a Silvia de Freshandwood! My granddaughter (5 years old) and I just finished making the satsuma herb de provence salt. We used quilted 4oz. 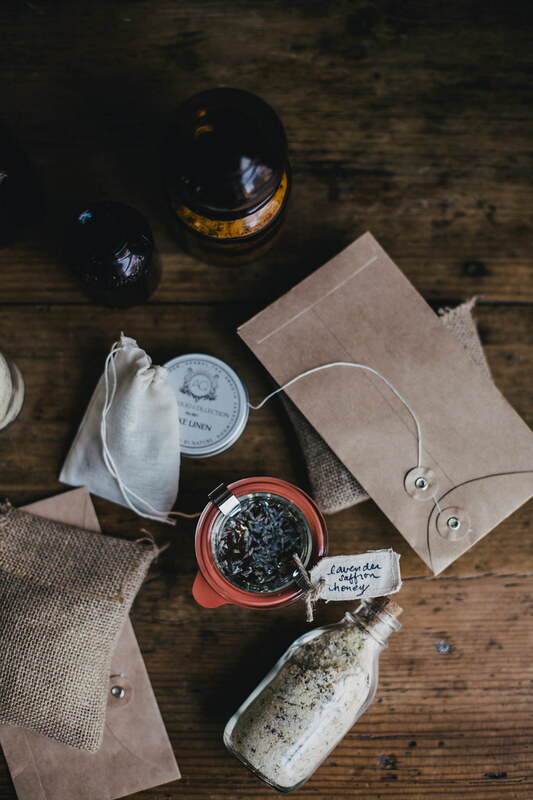 canning jars, topped with chalk labels and decorated with rustic twine and gift tags. It is our annual tradition to make special Christmas gifts to give to family and close friends. This was a perfect project and she is so proud. Thank you for this wonderful recipe. I made both of these and gave as Christmas gifts this year! 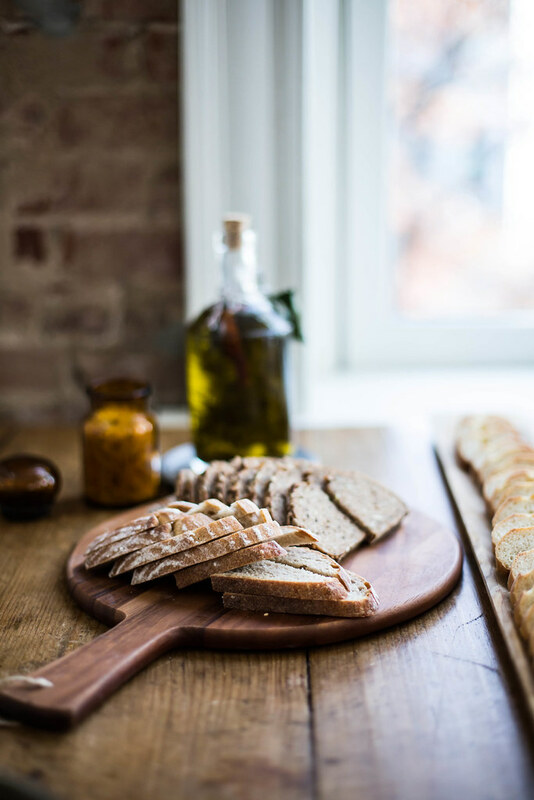 I had just spent the Summer in Provence France, so would you believe that the two things I brought back with me were Herb de Provence, and Grey French Salt!!! These creations were a HUGE HIT! They were so impressed with the gifts, and they were SO EASY TO MAKE!!! I of course saved a batch for us to have at home! 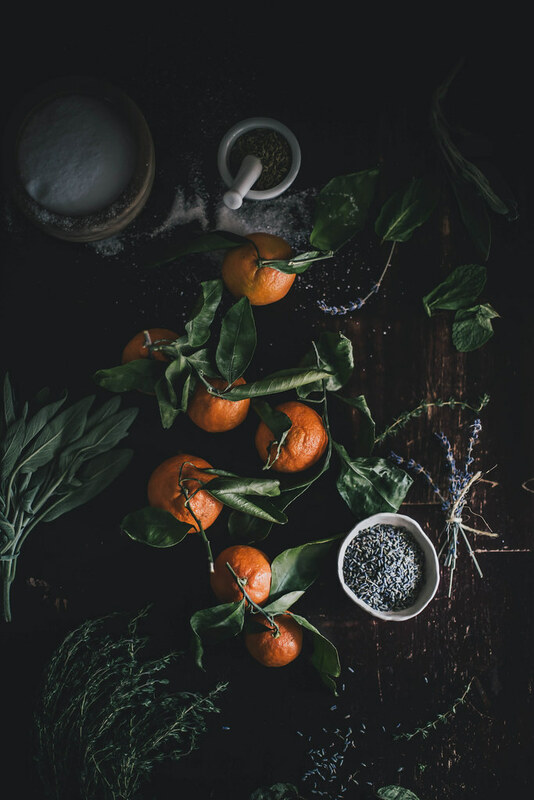 Thank you for these fabulous recipes and for your beautiful blog! I can’t wait to read it when it arrives in my “INBOX.” Cheers! As I let my eyes swoon over your photographs, I get feelings of comfort, home, relaxation and “I want my home to feel like this”. Everything about your table is exquisite and welcoming. 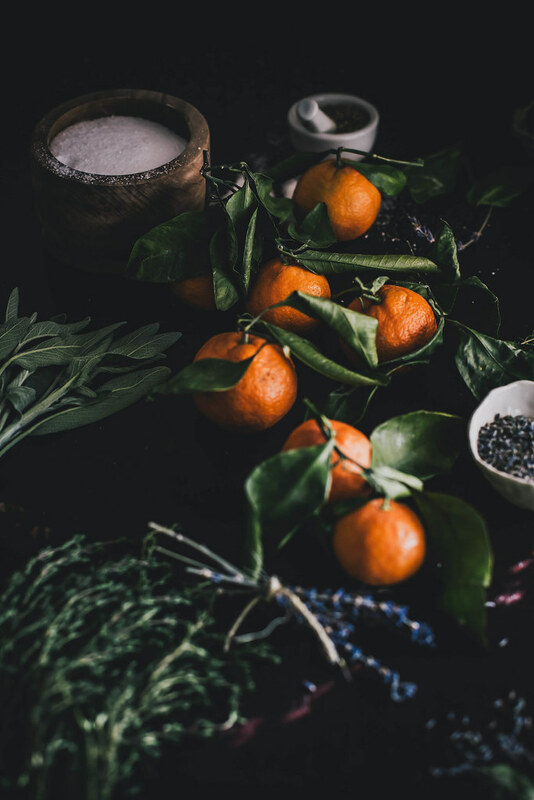 The way you create with your herbs sing to my heart and I want to make, to taste, to share your recipes with my world! Thank you for sharing this beautiful piece.